eToro, the leading social trading network, has pushed ahead with its plans to broaden its cryptocurrency offering, citing enough liquidity and strong customer demand. The company announced that it has enabled the trading of Binance Coin (BNB), the native token associated with the largest crypto exchange in the world. Binance Coin (BNB) is a utility token that was originally created to help the crypto venue with its financial needs. But after Binance has reached that goal, it has been using its profits to buy back the tokens and ‘burn’ them to reduce the overall circulating supply. This process will continue until 50% of all BNB are burned, or approximately 100 million tokens, Binance’s CEO said. Binance Coin (BNB) is also used by participants to cut their fees when trading in and out of altcoins on the platform. In addition to BNB, eToro customers can already trade the actual underlying assets of Bitcoin, Ethereum, Bitcoin Cash, XRP, Litecoin, Ethereum Classic, Dash, Stellar, NEO, EOS, Cardano and IOTA. The latest addition expands the total number of cryptocurrency assets available on eToro’s platforms to thirteenth. Unlike many other brokers, eToro does not simply adhere to offering crypto CFDs, but also allows clients to actually purchase the assets, with eToro acting as custodian and holding the digital coins on behalf of clients. In addition to clients’ ability to purchase actual BNB tokens, the coin will also be implemented on eToro’s Crypto CopyFund, which promotes the simple diversification of crypto holdings through the use of CFDs. The company now offers its clients easy access to the price movement of BNB‎‎ through the BNB‎/USD pairing, which is now live and available for demo and live accounts. eToro has routinely been at the forefront of cryptocurrency trading, having been one of the first online brokerages to offer Bitcoin trading. 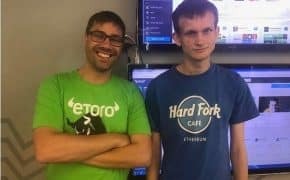 Commenting on the news, eToro’s Founder and CEO, Yoni Assia, said he continues to believe in the potential for crypto assets despite sensational headlines about the death of crypto. 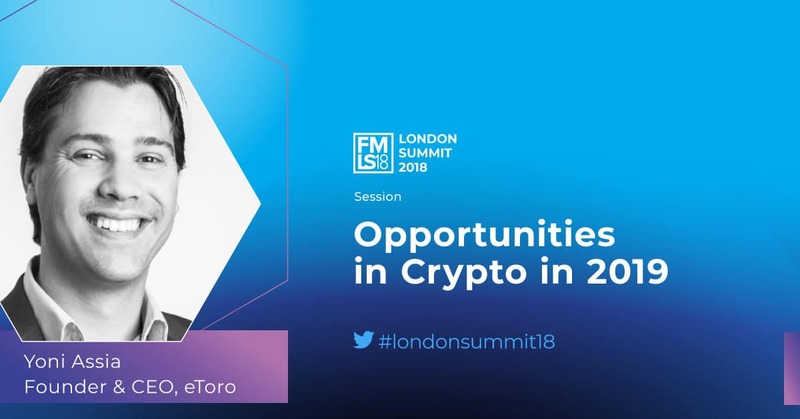 Mr. Assia will be giving a keynote speech showcasing opportunities in crypto in the London Summit 2018. Also, as part of eToro’s presence at the event, the company will host educational sessions with analysts and offer insight into peer-to-peer crypto payments, as well as market outlooks for the leading cryptocurrencies.